Sherwin-Williams Paint Store of West Haverstraw, NY has exceptional quality paint, paint supplies, wallpaper, and stains to bring your ideas to life. Painting Questions? Ask Sherwin-Williams. 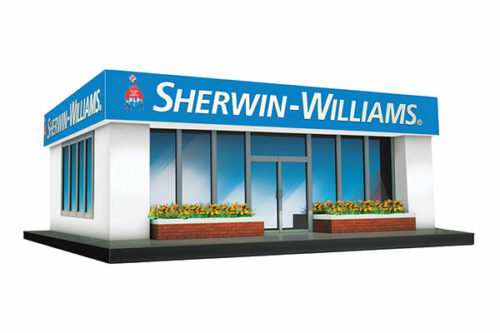 Sherwin Williams in West Haverstraw has got you ‘covered’ for all of your paint, supplies and customer service needs. All Rockland County Chamber members will receive a 30% discount on all “paints and stains” and a 15% off discount on all “supplies”. At Sherwin Williams, we offer more than paint; we encourage all members to utilize our Account Representatives to assess your individual needs so we can help tackle your projects and assist in providing product knowledge, advice and insight. In addition to paint and supplies; we specialize in providing quality floor coverings such as wall paper, equipment and machinery such as generators, power washers, paint sprayers, commercial fork lifts and much much more! We invite you to take advantage of our value added services at no extra cost other than utilizing your account for your paints, stains and supplies. Thank you in advance for your business and we look forward to helping you with your next project!